John Herbers, a distinguished reporter for The New York Times on national affairs who in covering the racial turmoil in the Deep South in the 1960s demonstrated a rare blend of the journalistic skills, ingenuity and courage often associated with front-line war correspondents, died March 17, 2017, in Washington, D.C. He was 93. Mr. Herbers died at Ingleside at Rock Creek, a nursing home, said his daughter Anne Farris Rosen, said. In the political circus of Washington and in the cities and towns of a nation struggling with urban decay, the Vietnam War and racial conflicts, Mr. Herbers often reported major news: antiwar protests, civil rights marches, the 1968 presidential campaign and the assassination of Senator Robert F. Kennedy, the Watergate scandal and the resignation of President Richard M. Nixon. Over four decades, including 24 years with The Times, he also covered the passage and enforcement of civil rights laws, the rising influence of the Rev. Dr. Martin Luther King Jr. and the plight of the poor and social unrest in the cities. In the 1980s, he often went on the road to detail changing demographics and trends in American life. He wrote four books on national affairs. But it was in the caldron of racial hostilities and brutality and the drive for civil rights in the segregated South that Mr. Herbers -- early in his career, in the 1950s and '60s -- made his most indelible mark. It was a dangerous time in the South. Lynchings were common. Black churches were burned. In Birmingham, Ala., four little girls in Sunday school were killed in a bombing, and two black boys were shot dead. In Philadelphia, Miss., three civil rights workers trying to register black voters were abducted and murdered. In Selma, Ala., and other towns, the police attacked protesters with gunfire and nightsticks, snarling dogs and fire hoses, producing televised images that outraged many Americans. Mr. Herbers was chased by white mobs in Florida and Alabama, accosted by Ku Klux Klansmen in Mississippi and threatened with death many times. But in vivid narrative reports day after day, he told of night riders with guns and dynamite; of black people and rights workers slain and maimed; of white police officers joining the violence; and of federal intervention to break down the barriers of segregation. To avoid being singled out by street mobs or at Klan rallies as a reporter for a Northern newspaper, Mr. Herbers thickened his soft Tennessee drawl, wore the rumpled khaki pants and short-sleeve shirts favored by local white men, sometimes feigned a lack of interest in what was going on, and tried to interview witnesses discreetly and call in his stories from out-of-the way telephones. He occasionally avoided taking notes publicly, a seeming handicap. "In practice, however, you seldom need notes," he wrote for Times Talk, an in-house publication for Times employees, after attending a rabid torchlight Klan rally in 1964. "What's going on is etched in your memory." John Norton Herbers Jr. was born on Nov. 4, 1923, in Memphis, Tenn., to John Norton Herbers and the former Anne Mabell Clare Foster. His father operated small country stores in Tennessee and Mississippi, and his mother was a part-time music teacher. After graduating from Brownsville High School in Brownsville, Tenn., in 1941, he was a combat infantryman in the Pacific in World War II. He graduated from Emory University in 1949 with a bachelor's degree in journalism and began his career as a reporter-city editor for The Morning Star of Greenwood, Miss. In 1951, he joined another Mississippi newspaper, The Jackson Daily News, as a political and state reporter, and in 1953 the United Press hired him to be the Jackson bureau chief, responsible for state coverage. His objective reporting on racial affairs, especially after the Supreme Court struck down public school segregation in 1954, brought protests from citizens' councils and even news organizations that subscribed to United Press. In 1952, Mr. Herbers married Mary Elizabeth (Betty) Wood. They had four daughters, who survive him. Besides Anne Farris Rosen, they are Claudia Slate, Mary Herbers and Jill Herbers. He is also survived by a sister, Mary Herbers, six grandchildren and eight great-grandchildren. Mr. Herbers's wife died on Feb. 5, 2017. In 1955, he covered the murder of 14-year-old Emmett Till, a black visitor from Chicago who had allegedly whistled at a white woman in Money, Miss. The boy was abducted and beaten by white men, who gouged out an eye, shot him in the head, mutilated his corpse and dumped the body in a river. Mr. Herbers also for covered the trial for United Press of two suspects whose swift acquittal by an all-white jury shocked much of the nation. In an as-yet untitled memoir scheduled for publication next year, he recalled his reaction to the verdict. "With emotions pent up no longer, I felt a horrible lump in the pit of my stomach," he wrote. "How would I explain to my daughters that something like this happened in America, much less in a region of the country we called home? I hunched over the steering wheel and cried. I wanted to cry Mississippi out of my very core." Mr. Herbers studied American history at Harvard on a Nieman fellowship in 1960-61. In 1962, he went to Washington for what had become, after a merger, United Press International to cover the Labor and Justice Departments. He was hired by The Times in 1963, assigned to be an Atlanta-based correspondent, the third Southerner to cover the South for the paper in the modern era, after John N. Popham III, a Virginian who served from 1933 to 1958, and Claude Sitton, a Georgia-born, Pulitzer Prize-winning journalist whose reporting from 1958 to 1964 overlapped with that of Mr. Herbers. All three have been credited by historians with major roles in reporting the civil rights struggle. Mr. Herbers returned to Washington in 1965, and over the next decade covered Congress and the White House, as well as the Kennedy presidential race and assassination in Los Angeles in 1968, Watergate and Mr. Nixon's resignation in 1974. Mr. Herbers also covered national urban affairs. He became an assistant national editor in New York in 1975 but returned to Washington in 1976 as the deputy bureau chief. Two years later, he became a Washington-based national correspondent and was soon roaming the country to report on trends in American life. 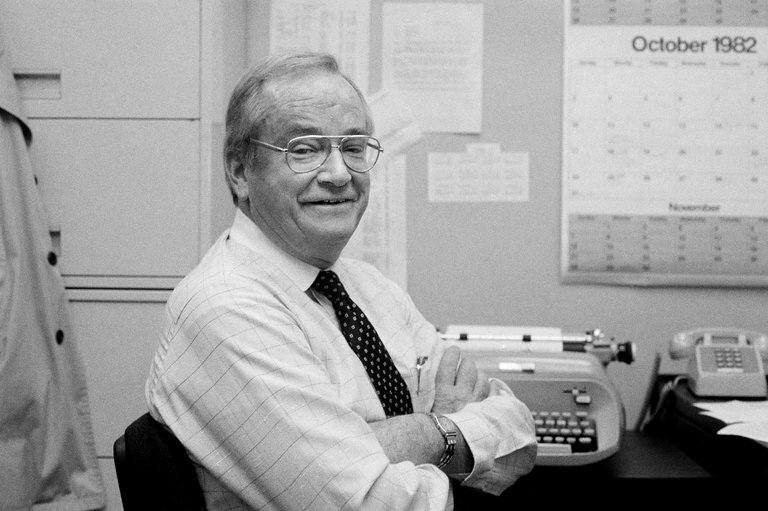 After retiring from The Times in 1987, he taught seminars on politics and the press at Princeton and the University of Maryland, was a columnist for Governing magazine for three years and wrote occasionally for The Times. He was the author of "The Lost Priority," (1970), on the decline of the civil rights movement; "The Black Dilemma," (1973), a study of the quest for black equality; "No Thank You, Mr. President," (1976) on White House journalism; and "The New Heartland, (1986), on demographic changes in America.